Take a journey down the Military Ridge Trail and turn it into a day long adventure or a weekend getaway. This route is 51 miles from the Military Ridge Trail junction which is not accessible by car. This bike roundabout connects the Military Ridge, Capitol City, SW Commuter and Cannonball Trail, as well as the Seminole Hills MTB Trails. To reach the start of the trail, take the SW Commuter from Madison or park on Hammersley Road and the SW Commuter Trail. This will add only a few miles. Most of this trail would be considered a 1-2 for difficulty, however, if you choose to climb to the top of Blue Mound State Park or Brigham Park, this route could be classified as a 3. This may take less time depending on the conditions, however, if the trail is soft from rain, it could take more. This time does not include stops other than water and bathroom breaks. This trail really shines come fall when Blue Mound state park is ablaze with color. 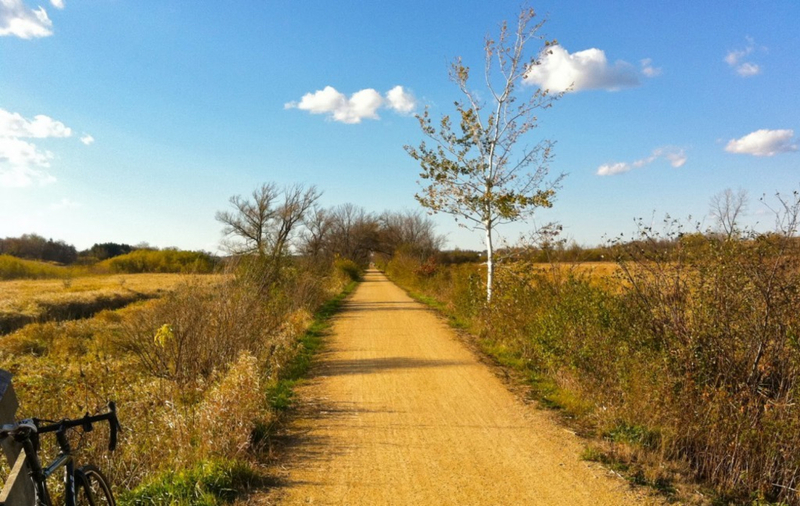 A $4.00 daily or $20.00 annual state trail permit is required. There are permit kiosks located at several points on the trail. Cash or checks are accepted. 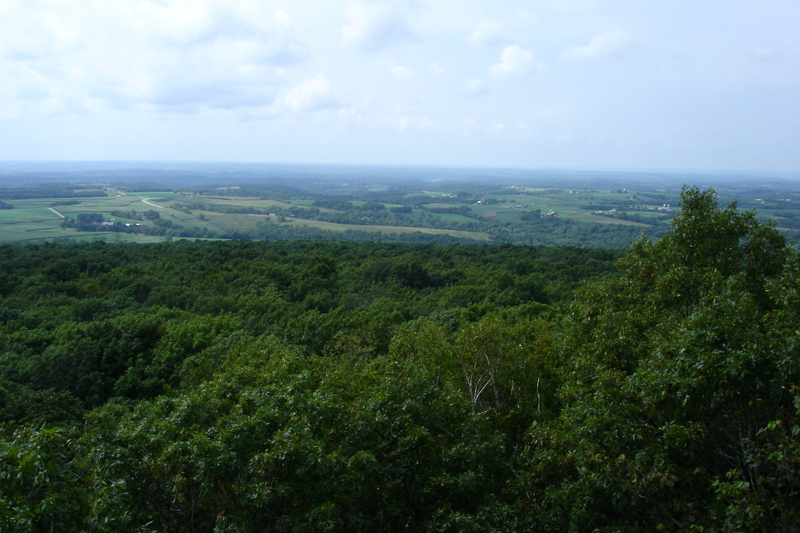 The Military Ridge trail follows along some of the hilliest and most scenic areas of the Midwest. Although the first few miles are paved, you'll quickly turn onto a well maintained crushed limestone trail. 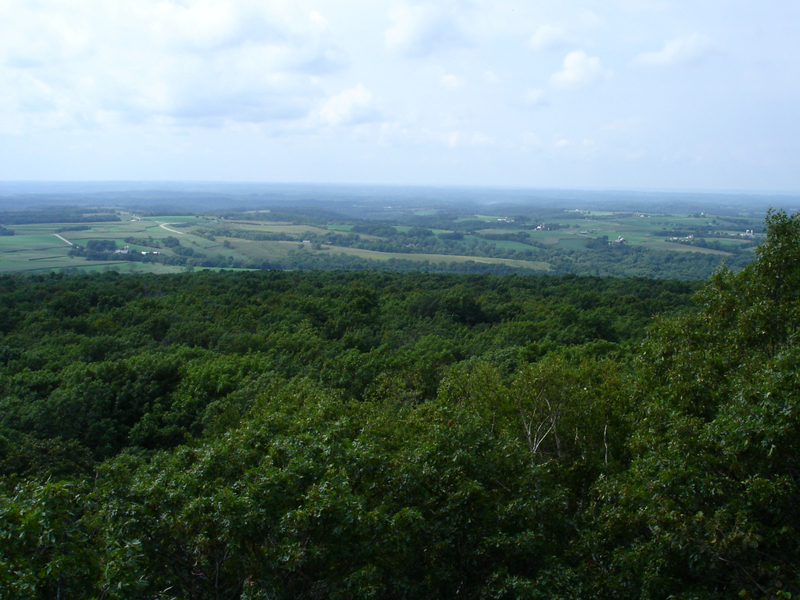 The trail ends in Dodgeville, 40 miles from Madison, but many cyclists choose to just ride out to Blue Mound and Brigham State park where they are treated to panoramic views—and on clear days you can see all the way back to Madison. There are so many ways to make this into an all day adventure or even an entire weekend vacation. For those on either cyclocross or mountain bikes, a few miles from the start of the trail will bring you to Quarry Ridge, one of the best mountain bike areas near Madison. 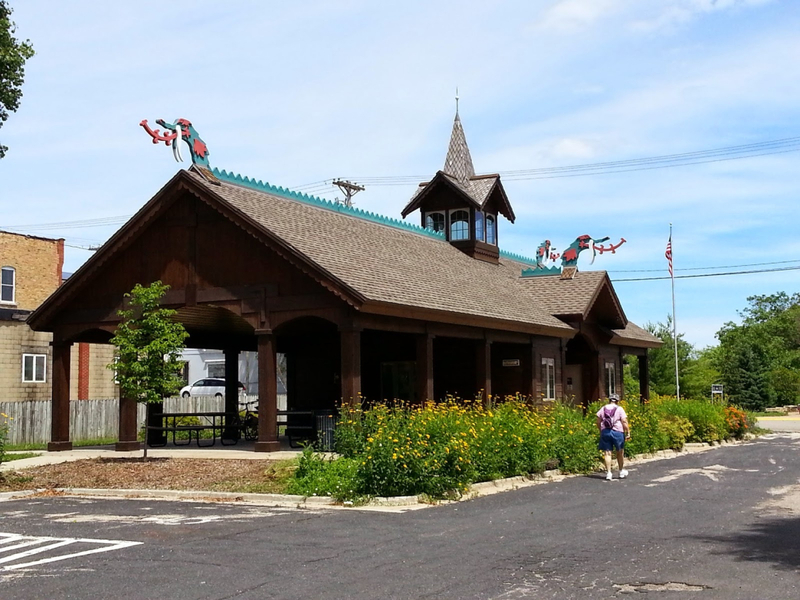 Once you are on the gravel trail, it's only a short jaunt to the city of Verona where you can stop at Tuvalu for coffee or take a bathroom break at the well maintained trailhead. Heading further West, you gradually climb uphill, passing an old quarry on your right (when you see the green chain link fence, stop and take a look). From here you aren't far from a favorite town to many local Norwegians—Mt.Horeb. Most cyclists choose to stop at the Grumpy Troll for lunch and a beer, but there is another well known stop called Sjolinds which has amazing coffee, lunch and chocolate! Once your stomach is full, keep heading West—you aren't far from some of the best overlooks in Wisconsin. Less than five miles will bring you to the newly paved Brigham Park trailhead where you'll climb for about 1.5 miles to a lovely little park. Enjoy the fast ride back down to the Military Ridge trail and continue West a bit further. You will soon see a well marked sign leading into Blue Mound state park. If you wish to camp, there are peaceful and simple hike/bike in campgrounds less than 1/4 mile off the main trail. If you are up for another challenging climb, keep going up the road to the fire towers. On clear days, you will be able to see the state capitol! This is a very special trail winding its way through marsh, hardwood forests and two state parks. The diversity is sure to win just about anyone over. Children love the views from the parks and the swimming pool at Blue Mound state park, Scandinavians will get their fill on lefse and Norwegian trolls, beer connoisseurs will love the pub, Grumpy Troll and nature lovers will be astonished by the amount of birds, reptiles, frogs and salamanders found on the trail. For those who don't like to climb, it is suggested you cut out going to the top of both parks. Although this can be done on a road bike, it is best enjoyed on slightly wider tires (28 mm or wider). There is a $4.00 daily or $20.00 annual trail pass required which can be obtained at the numerous trail kiosks. This, as well as the other trails in the Madison area is often visited by DNR staff checking for passes. There is no fee to enter the parks via bicycle or on foot, however, there is a small fee if you choose to camp.